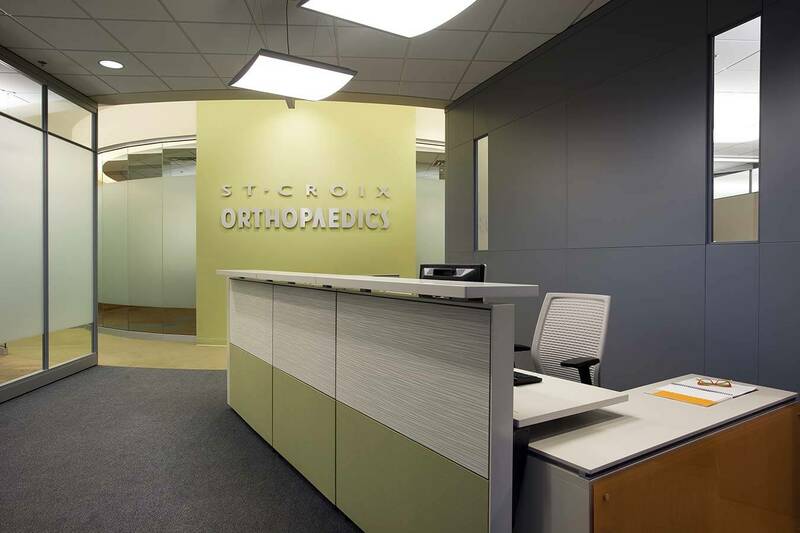 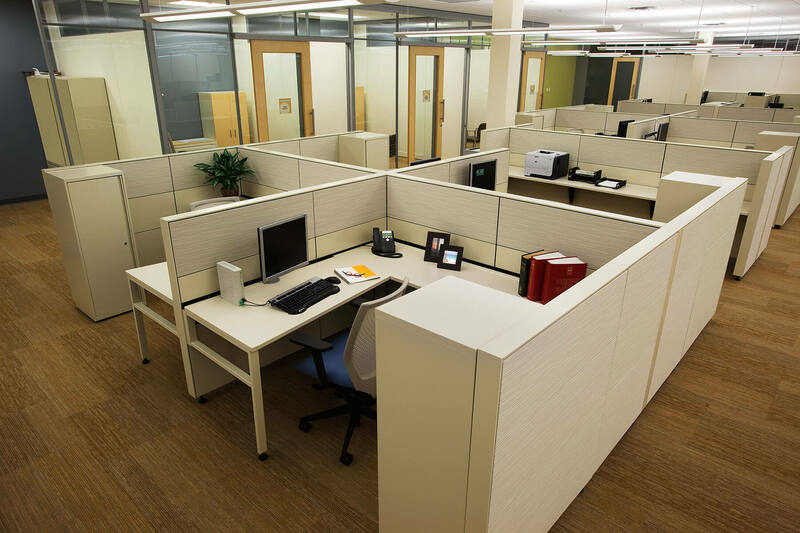 Mohagen Hansen provided planning and design services for the relocation of St. Croix Orthopaedics’ administrative offices. 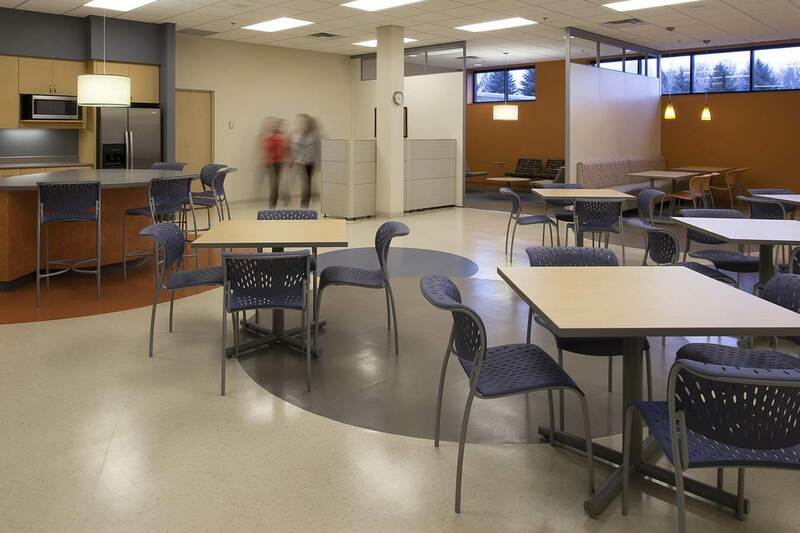 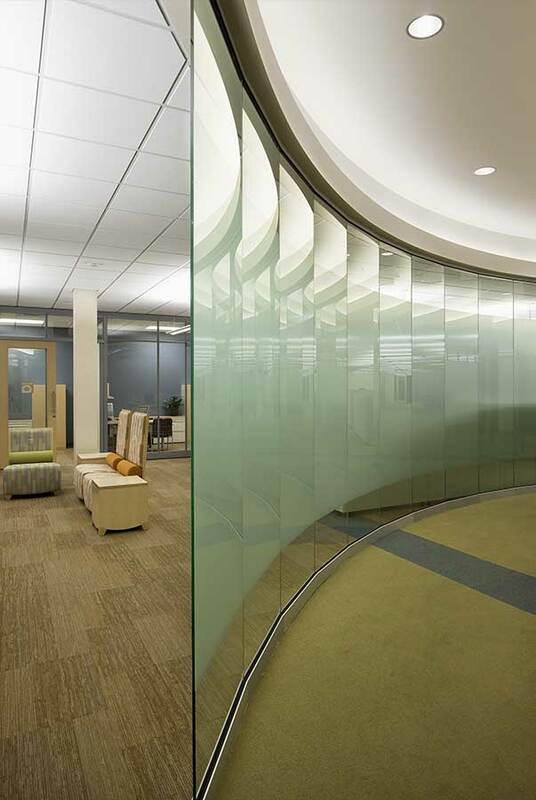 The space was designed around an existing circular soffit located at the center of the space. 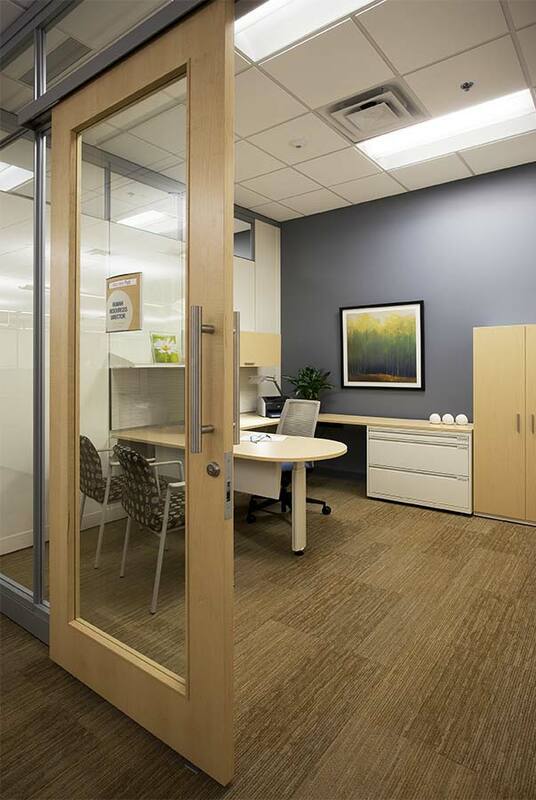 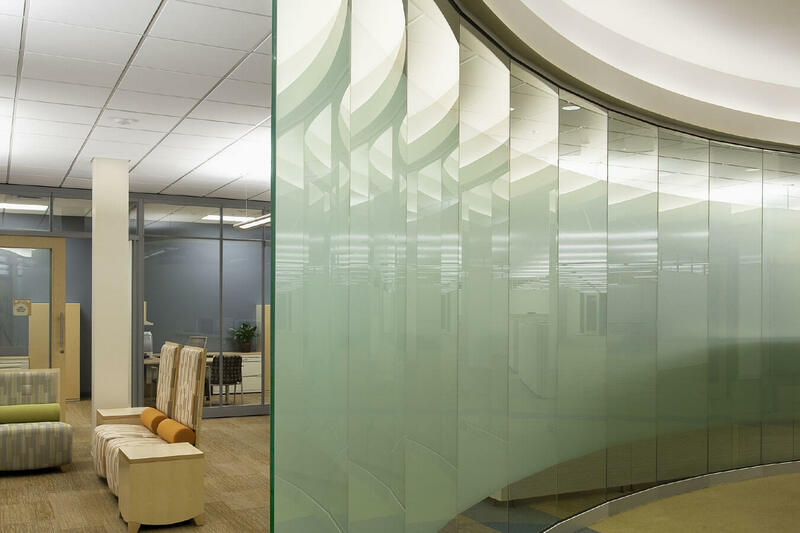 The design solution incorporated this attribute through the development of a round, glass-walled central boardroom. 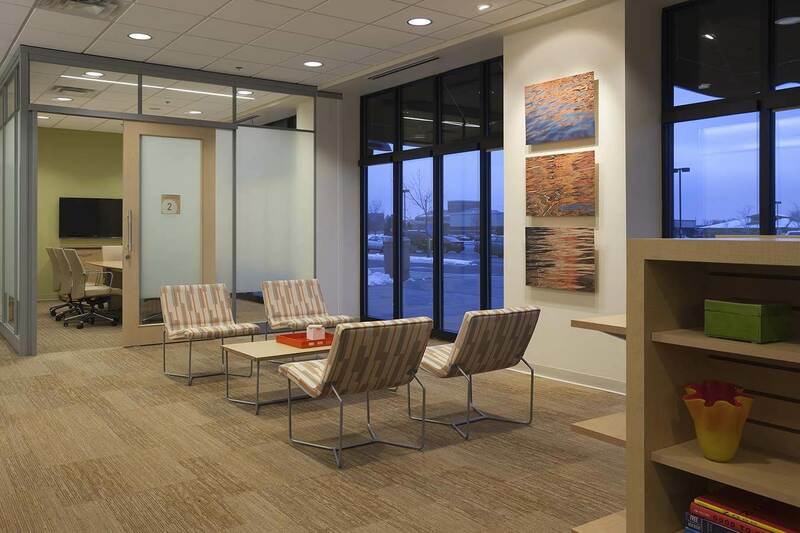 Abundant daylight was allowed into the space through the small ceiling height windows that were installed along the south wall, in addition to the large storefront windows. 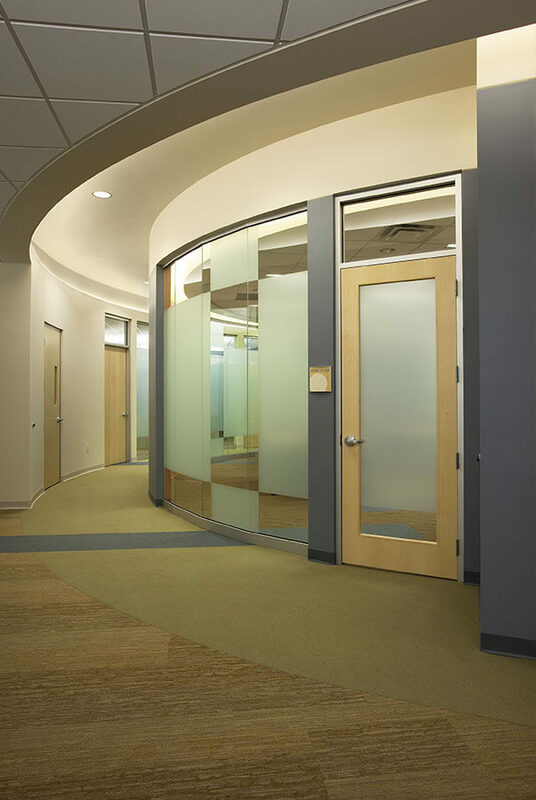 A fresh, crisp, neutral color palette enhanced by pops of orange, green and blue complement the existing brand concept found in their medical clinic locations. 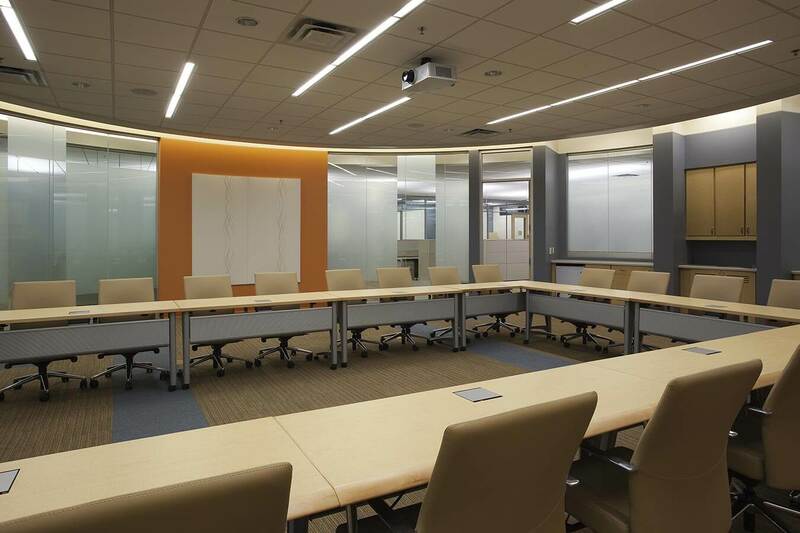 Clean lines adorned with light wood and metal add to the contemporary look and feel of the space, while demountable walls provide increased functionality and a transparency the client sought in order to reinforce their inclusive, collaborative corporate culture.